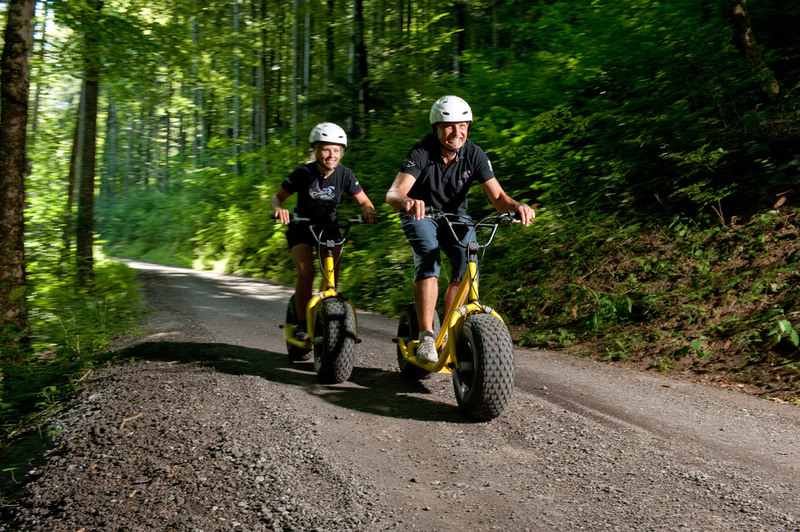 Now you can experience Lauterbrunnen by Monster or Gravity Downhill Scooters. The official start of our summer season has arrived and after a productive winter of planning and developing we are excited to announce the launch of some new tours into our expanding portfolio. 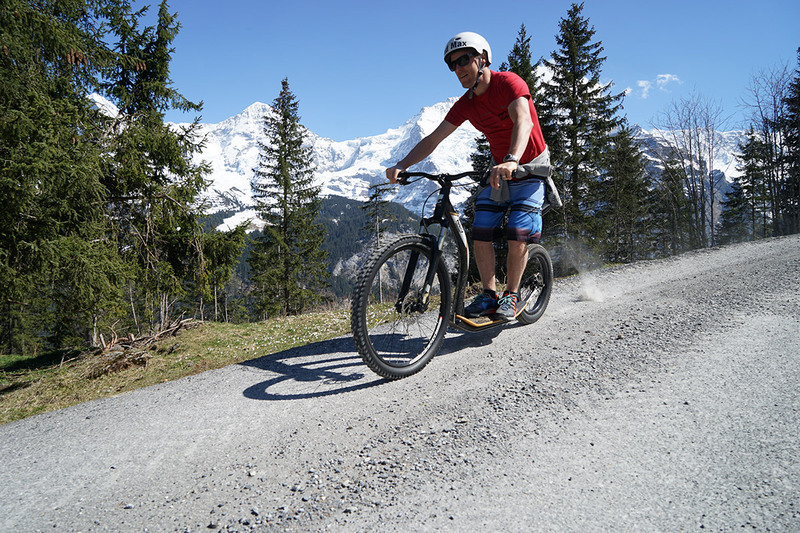 Being Europe’s adventure sport’s capital doesn’t mean only thrill seekers can enjoy Interlaken’s activities. Our new tours are designed to suit every guest, including families. With early evening departures, visitors will still have time to join these tours after they come back from their day excursions. Also known as Trotti bikes, these fat wheeled scooters are great fun for the whole family. This is a guided trip and includes hotel pick up and all transportation, and can be combined with a fondue dinner. The fantastic panorama views from Isenflu make this tour not only about the descent but also, the unique location to spend an evening. Gravity Scooters are similar to downhill mountain bikes, using front suspension and disk brakes, but are much easier and open the world of downhill biking to anyone with basic 2 wheel skills. This tour descends from Winteregg to Lauterbrunnen on a 1 hour journey. We look forward to seeing you this summer in Interlaken!